Explanation: Have you ever seen the Andromeda galaxy? 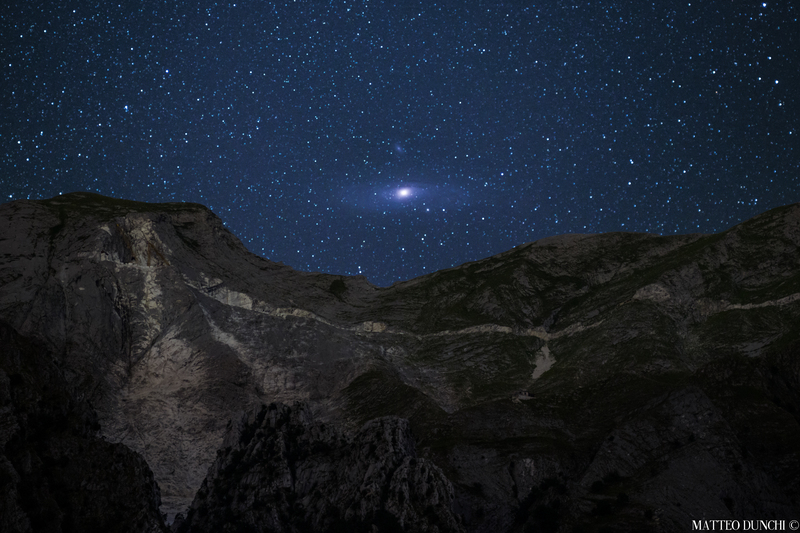 Although M31 appears as a faint and fuzzy blob to the unaided eye, the light you see will be over two million years old, making it likely the oldest light you ever will see directly. Now rising near a few hours after sunset from mid-latitude northern locations, Andromeda is rising earlier each night and will be visible to northerners all night long starting in September. The featured image captured Andromeda rising above the Italian Alps last month. As cool as it may be to see this neighbouring galaxy to our Milky Way with your own eyes, long duration camera exposures can pick up many faint and breathtaking details. Recent data indicates that our Milky Way Galaxy will collide and coalesce with the slightly larger Andromeda galaxy in a few billion years.